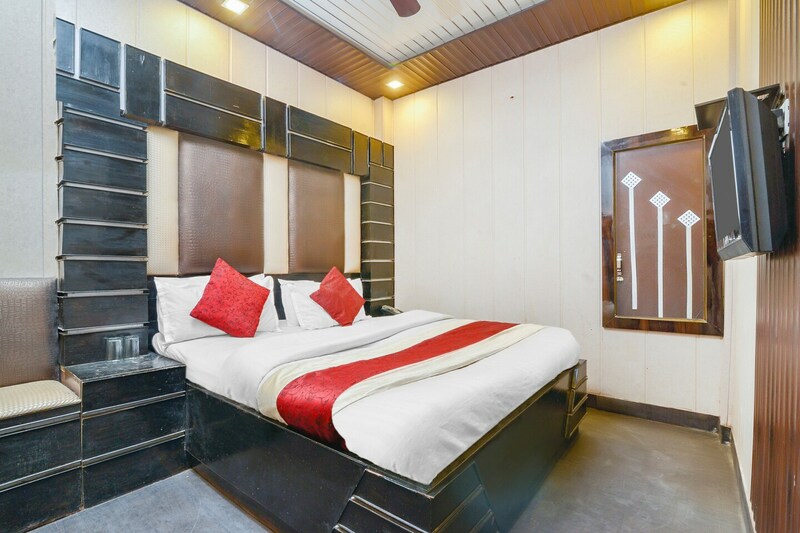 Hotel Shri Sai International is a tasteful property with warm and cosy rooms, and located on Arakashan Road in Paharganj, Delhi. It is close to Gali Number 7 Bus Stop, New Delhi Railway Station and New Delhi Metro Station. Connaught Place, Chawri Bazaar, Karol Bagh Market, Jama Masjid and Red Fort are also close by. The rooms of Hotel Shri Sai International are done up with a mix of light and warm tones, with wooden accents. Some rooms have pretty wall murals. The bathrooms are stylishly tiled and fitted with latest fixtures. All the rooms of this hotel come with a queen sized bed, a television, a seating area, and an air conditioner. Guests are offered free Wi-Fi, power backup, CCTV security, power backup and laundry service. You can make your payment through cards too. Food joints like The Southern Restaurant, Cafe Vagabond, Nand Di Hatti, Bikaner Sweets Corner and Chawla De Mashoor Special Nan are close to the hotel.